Description: 28 year old female underwent a non-surgical rhinoplasty. She was concerned about the bump on the upper third of her nose but did not have the time to recover from a formal surgical rhinoplasty. 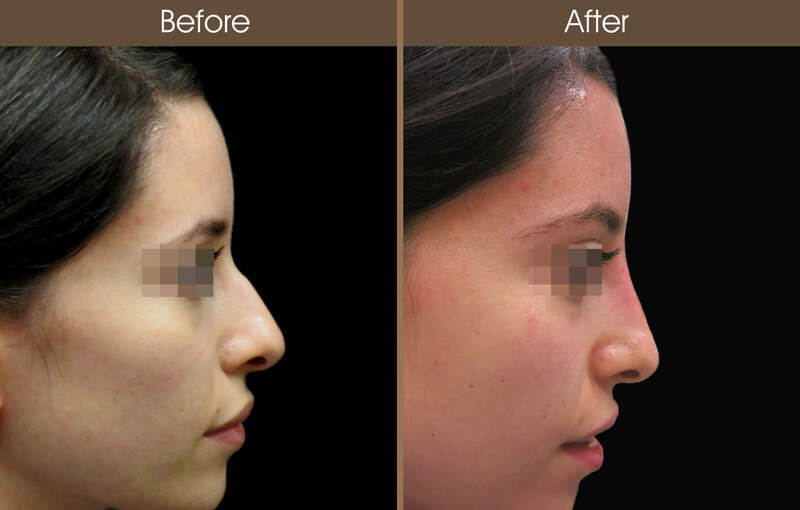 With the addition of a hyaluronic acid filler the bump was hidden and the nasal shape improved within minutes.